NOTICE: Activation key must be used on a valid Steam account. Requires internet connection. About the game Young Barthas Snow of the Northwatch goes forth to search for his lost uncle Banjo beyond the great wall. A difficult journey lies before him, on which he unwittingly awakens an unimaginable evil from a long dead era... In the major extension A Game of Winter, hordes of undead overr… un Dungeons 2 – and not only are they accompanied by the foul stench of blood and decay, they also come equipped with a completely new, fully scored and voice acted campaign with eight maggot-ridden missions! As the Commander of the brainless army, you control 13 gruesome new units, including brain-devouring zombies, bone-crunching skeletons and sorcerous vampires, and gain eight new rooms for your dungeon to do with as you please, such as the cemetery, the laboratory and the final resting place. You can now also take command of the undead in multiplayer games!Key Features New faction: The brainless army brings a new, undead breath of air to the Dungeons 2 universe. New tasks: A completely new and fully scored and voice acted campaign with 8 extensive missions awaits you. New subjects: Command 13 new units, including zombies and vampires. New rooms: Build 8 new rooms, like the cemetery and the laboratory. New in multiplayer: The undead can be relied upon to spread evil and wreak havoc in battle against your multiplayer adversaries! System Requirements Windows - MinimumOS: Windows Vista (SP2) 32bitProcessor: AMD or Intel, 3GHz Dual-Core or 2.6 GHz Quad-CoreMemory: 3 GB RAMGraphics: Intel HD4400, NVIDIA GeForce GT 440/GT 650M, AMD Radeon HD 7750/R5 255MHard Drive: 5 GB available spaceSound Card: DirectX 9.0c compatible soundcard Mac - MinimumOS: MAC OS X 10.9.5 (Mountain Lion), 10.9.5 (Mavericks) and 10.10.2 (Yosemite) Processor: Intel Quad-Core @ 3.1 GHzMemory: 4 GB RAMGraphics: NVIDIA GeForce GT 440/GT 650M, AMD Radeon HD 7750/6970M with at least 512 MB of dedicated VRAM, DirectX 11 and Shader Model 5 supportHard Drive: 5 GB available spaceSound Card: Integrated Linux - MinimumOS: x64-Versions of Ubuntu 14.04 LTS, Ubuntu 14.10Processor: AMD or Intel Dual-Core @ 2.6 GHzMemory: 4 GB RAMGraphics: NVIDIA GeForce GTX 460 or similar with 1 GB or dedicated VRAM, DirectX 11 and Shader Model 5 supportHard Drive: 5 GB available spaceSound Card: Integrated or DirectX 9.0c compatible soundcard Dungeons 2 Copyright © 2015 Kalypso Media Group GmbH. All rights reserved. 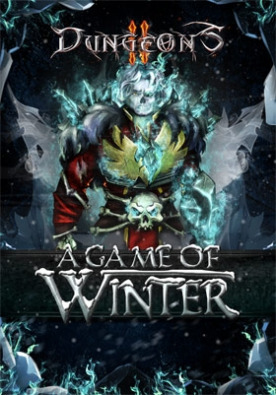 Developed by Realmforge Studios GmbH. Published by Kalypso Media Group GmbH. All other logos, copyrights and trademarks are property of their respective owner.